For a cute little brunch or lunch spot in Echo Park, you really can't beat Honey Hi. Their focus on nutritional integrity and sustainability really comes through in each fresh and vibrant dish. Just look at those colors! I love that they value collaborations with local farmers and artisans (organic and locally-sourced produce is used whenever possible), and the menu changes with what's available seasonally at the farmers markets. While the entire menu is inherently gluten-free, they believe in "radical inclusivity", meaning it is not vegan, vegetarian, or any one thing in particular. 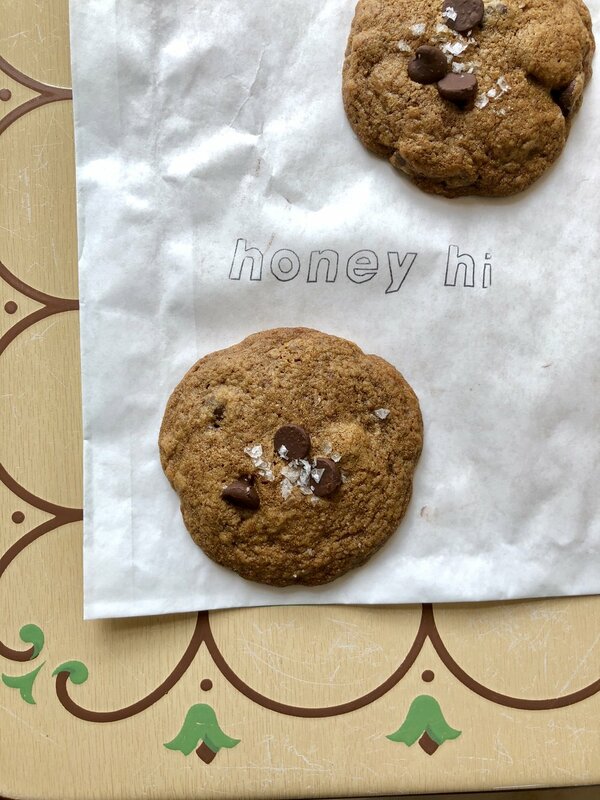 Honey Hi serves organic, humanely-raised animals and eggs from local farms, but you won't find any refined sugars, GMO's, or vegetable oils in any of their dishes. Basically, you can feel really good about eating here, and your body will definitely thank you for nourishing it with such high quality, delicious eats. There's truly something for everyone here, but so far I definitely recommend "that grain bowl" (I die for the cinnamon roasted sweet potatoes, za'atar tahini sauce & cashew buckwheat dukkah! ), and I know my husband would go nuts for the "lambwich" (with grilled halloumi, turmeric pickled onions & date tamarind chutney). Yum! There are tons of tasty drinks here too- from pitaya smoothies to bone broth to medicinal 'shroom coffee, the options are endless. Don't skip out on the grain-free chocolate chip cookie for the perfect sweet ending!